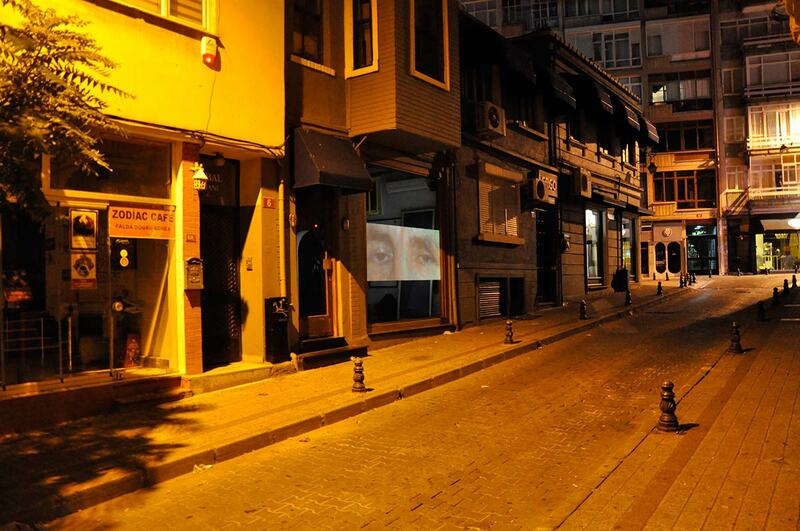 Rafael Abreu-Canedo’s video installation Eye Contact, a series of projections situated in public spaces in Istanbul, presented recordings he collected of the eyes of displaced Kurds, who are otherwise “hidden” persons in Turkey. For Eye Contact, I spent two summers in Turkey, speaking to displaced Kurds about their experiences of the violent conflicts of the 1980’s and 90’s. During this process, I video-recorded them as they recalled memories and experiences of extremely traumatic events. Focusing on the eyes became a strategy for uncovering what perhaps wasn’t being said. Maybe even what could not be said. 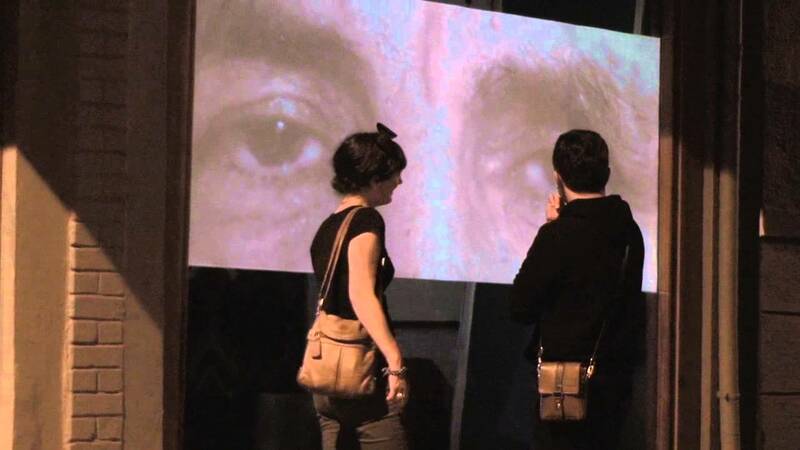 These eye videos were placed in several public locations in Istanbul for people to encounter, facilitating an experience that is not about policing ideological boundaries, but instead, seeing themselves in those eyes and empathizing with the feelings recognized therein. In addition, every shop owner’s participation in the project, by donating their display-windows, became an index of their solidarity with the cause. Eye Contact provided a model for solidarity, while promoting empathy and communion. At the crux of this entire investigation is one of my central concerns: What happens when you subvert expectations about what a population has defined as “other”, “marginal” and/or “abject”, by mediating their encounter with this “abject other” in ways that stimulate the neurological circuitry of familiarity, intimacy and empathy? Eye Contact was supported by a microgrant from the Frank-Ratchye Fund for Art @ the Frontier (FRFAF)— an endowment founded to encourage the creation of innovative artworks by the faculty, students and staff of Carnegie Mellon University. With this fund, the STUDIO seeks to develop a cache of groundbreaking projects created at CMU — works that can be described as “thinking at the edges” of the intersection of disciplines.